Constructed of polystyrene with nontreated surface. BrandTech™ BRANDplates™ pureGrade™ 96-Well Microplates are noncytotoxic, and free from endotoxins, DNase, DNA, and RNase. 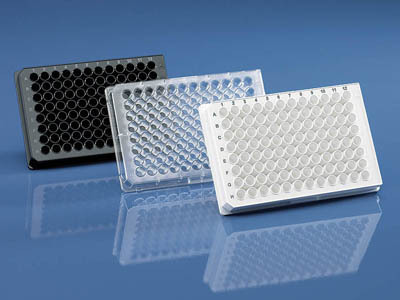 Medium binding, nonsterile microplates are suited for homogenous assays, screening, and storage with gray alphanumeric embossing on white and black solid plates for easy well identification.